The lovely Cotswold stone village of Buscot, including some 4,000 acres of land, is managed and protected by the National Trust. 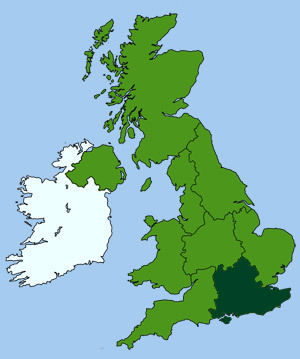 The area comprises rich woodland and farmland that borders along the upper Thames. At the entrance to the village (just of the A417, Lechlade Road) there is a small stone hall with a stubby clock tower, just beyond this is a covered well. A little further on there is a car park next to the village shop, which includes a welcome tea room. From here you can walk the short distance down the lane, to the lock and lock keeper's cottage. The grassy bank near Buscot weir and lock is a popular local picnic spot. 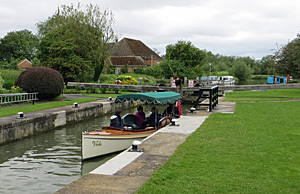 Regular boat trips run along the river here from St Johns Lock (Faringdon Road, Lechlade on Thames, GL7 3HA), from Easter until October 1st. For further details see the river Cruises from Lechlade on Thames section of the Cotswolds Canal Trust website. A little further upstream from the lock is the Norman Church of St Mary, which has a painted pulpit with panels by the 15th-c Flemish artist Mabuse. The east window has 19th-c glass by the late Pre-Raphaelite artist Sir Edward Burne-Jones. Next to the church is the early 18th-c Old Parsonage, with its picturesque little garden by the river (NT open by appointment). The house and grounds of nearby Buscot Park, a mansion built in the Adam style in 1780, is also open to the public (National Trust). The surrounding park, with its lake and gardens, was laid out by Harold Peto.